Free zones are special areas within the customs territory of the Republic of Serbia. Goods placed within these areas are free of import duties, VAT and other import charges. Goods for export can be also put in free zones. The free zones are mainly a service for traders to facilitate trading procedures by allowing fewer customs formalities. The nearest Free Zone from the border of EU is FZ – Subotica. Located near 2 border checkpoints (Horgoš and Kelebija). 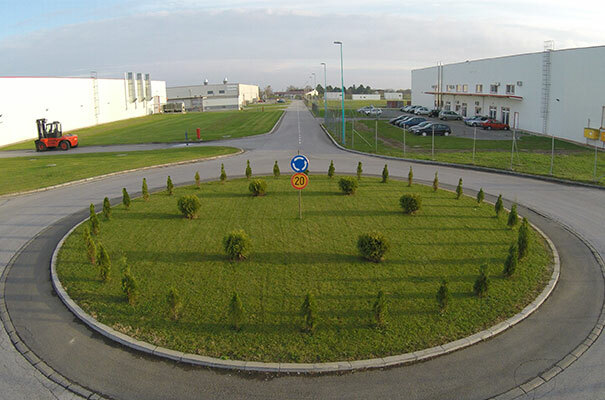 To create the most favorable conditions and advance entrepreneurship, municipal assembly through concerted efforts of FZ Subotica, offer a Special stimulating measures program within the Industrial Park FZ Subotica. Performing services is allowed under the Free Zone Industrial Park, as well as commodity production, finishing operations, goods and raw materials and semi-finished manufactures storage, banking operations and financial transactions, insurance and re-insurance (R.I.) dealings, tourist and other services, and all kinds of economic and business operations which do not interfere with- and pollute the nature. At the moment, FZ Subotica is able to offer services to all its users, whether they are home, foreign, juridical or physical persons. No value added tax (V.A.T.) on any of the activities within the free zone. Imports of goods into the zone are duty free. Goods from the Zone can be placed to the home market at the customs clearance and other taxes. If the goods entering the customs area of Serbia are produced within the Zone, or exposed to manipulation at domestic ingredients’ sharing, duty is paid according to the rate of foreign ingredient within the goods. Import to the Zone and export from the Zone are completely free. I.e. customs quotas, import or export permissions, or other foreign-trade exchanges are not used; The goods imported from the Zone to the home market are liable to regular import system but if the home ingredient amounts minimum 50% of the aggregate value, such goods will be considered domestically produced. The goods from the Zone can be temporarily put on the rest of the home territory or they can be brought to the Zone for the finishing operations (processing, finishing, treatment, repairing, quality controls marketing presentations…), which enable possibilities of connecting with the domestic economy. Transfer of the profit achieved by the different activities in the Zone is free. Expropriation is not allowed at the Zone area. Users of the Zone facilities are able to rent, buy, or build themselves the production storages or office buildings. How can one obtain the “operating in the Free Zone” status? to include the photocopy of the judiciary registration of the firm. After the short evaluation of the request, those concerned can sign a contract with the Free Zone and immediately start operating under the advantages the Free Zone offers. Beneficial interests of the zone users are established by FZ Law and they cannot be reduced by any other regulation. Imports of goods into the zone are duty free. Goods from the Zone can be placed to the home market at the customs clearance and other taxes. If the goods entering the customs area of Serbia are produced within the Zone, or exposed to manipulation at domestic ingredients’ sharing, duty is paid according to the rate of foreign ingredient within the goods. Import to the Zone and export from the Zone are completely free. I.e. customs quotas, import or export permissions, or other foreign-trade exchanges are not used; The goods imported from the Zone to the home market are liable to regular import system but if the home ingredient amounts minimum 50% of the aggregate value, such goods will be considered domestically produced. The goods from the Zone can be temporarily put on the rest of the home territory or they can be brought to the Zone for the finishing operations (processing, finishing, treatment, repairing, quality controls marketing presentations…), which enable possibilities of connecting with the domestic economy. Transfer of the profit achieved by the different activities in the Zone is free. Expropriation is not allowed at the Zone area. 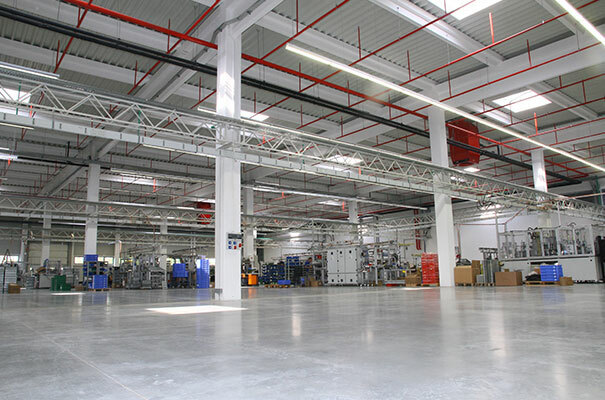 Users of the Zone facilities are able to rent, buy, or build themselves the production storages or office buildings.